Bug Out Bag Essentials. Every article that you read about how to build a bug out bag is going to have a list of 50 or 60 items that you should include, but what if you just want to start a basic bag? Can you get away with just a handful of items? The answer is yes, but if you’re only building a small bug out bag, you need to be choosy about what goes in it. Here is a list of what experts feel you should absolutely, without fail have as your bug out bag essentials. 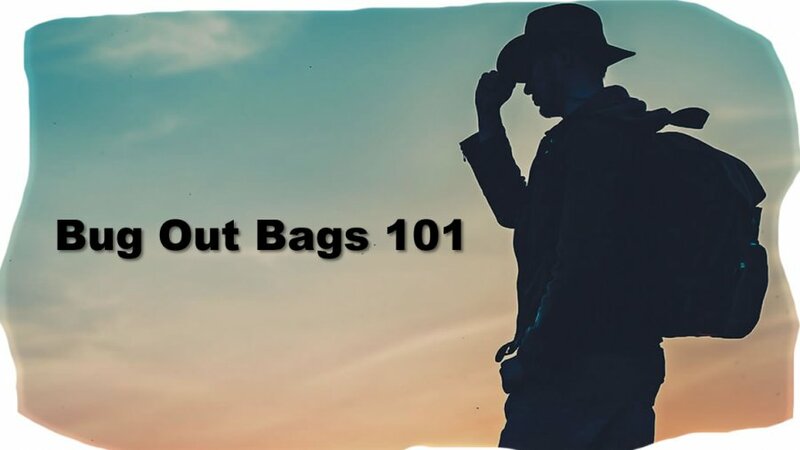 The first essential tool that you need to build a functional bug out bag is the bag itself, but the bag is often overlooked for some reason. Find a sturdy, waterproof bag that suits your needs. If you’re planning on packing for an extended bug-out, external and even internal pockets will be extremely useful, as will sturdy clips or eyes that allow you to attach items to the bag. Don’t be afraid to pull on the attachments and at the seams – if it pulls apart just from a tug or two, you don’t want it for your bug out bag. Buy according to your size and strength because no matter how good it is, if it’s too big to carry or too small to accommodate your stuff, it’s useless. 1) Water. You can’t live more than a few days without it so when you are talking about bug out bag essentials, this is THE most essential item. Even after 24 hours without water, your health and ability to think and function is compromised. Include at least 4 1-liter bottles of water in your pack and consider buying water pouches, purification tablets, and a water filter too. 2) Food. If you absolutely had to, you could survive on 2 or 3 high-calorie protein bars per day for a couple of weeks. It’s not ideal, but they’re light and don’t take up a ton of space. Alternately, you could include flavored ration bars, cook-in-pouch meals, or MRE’s (meals ready to eat). 3) Paracord. This is one of the top bug out bag essentials, if you don’t have some, get some. This stuff has so many uses that you’d be silly not to carry at least 20 feet of it in your bag. Emergency sutures, rope, shoelaces, hanging a tarp to use as shelter; the list goes on. Have this stuff with you! 4) Duct Tape. Just like paracord, the uses for duct tape are practically endless. Wrap it around a pencil instead of packing the bulky roll to save even more space. 5) First Aid Kit. At the very least, carry a kit that has bandages, tape, antibiotic ointment, alcohol pads, rubber gloves, tweezers, safety pins and ibuprofen. 6) Multi-function knife. A knife is handy for everything from cutting rope to repairing your shoelace to self-defense, and is a must have in your bag. Get one that has multiple tools including a compass, a screwdriver and serrated and non-serrated blades. 7) Tarp or tube tent. This can be used for everything from shelter to water collection. 8) Extra clothing. This is vital, especially in cold weather. Make sure that you have at least 2 extra pairs of socks, a change of clothes including a jacket, and an extra pair of shoes. 9) Fire Kit. This can be anything from matches in a dry box to a homemade or purchased fire kit. Our recommendation is a lighter, matches, a ferrocerium rod, striker, and a fire starter log. If you have all of that, you’ll be able to start a fire anywhere and it won’t take up more than a few square inches in your bag. 10) Flashlight. The best kinds are the LED ones that just use button batteries, or the little hand-crank ones that don’t require batteries. If you carry small ones, you can pack 2 or 3 in the space that one big one would take up. 11) OK, so we said 10, but these are important. You need a compass and a whistle. 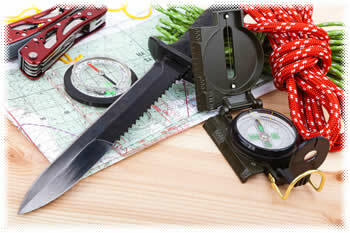 We recommend that you buy them as part of the multi-tool or 5-in-1 survival aid, but if not, pack them separately. Now you know what you need as far as bug out bag essentials. These items won’t take up much space and each and every one of them can save your life. Though these are the items that you absolutely can’t live without, there are other items that you’ll need if you’re going to be stuck for longer than a day or two. Cruise through our other articles to find out how to build a more inclusive bug out bag, or bags for your office, your car, or your other family members. If you feel that we left something off, please feel free to tell us about it in the comments section below. Don’t forget to tell us WHY you think that it should be included.